Was wondering if you had any recommendations on a servo for the shoulder gun on a War Machine build I am working on. 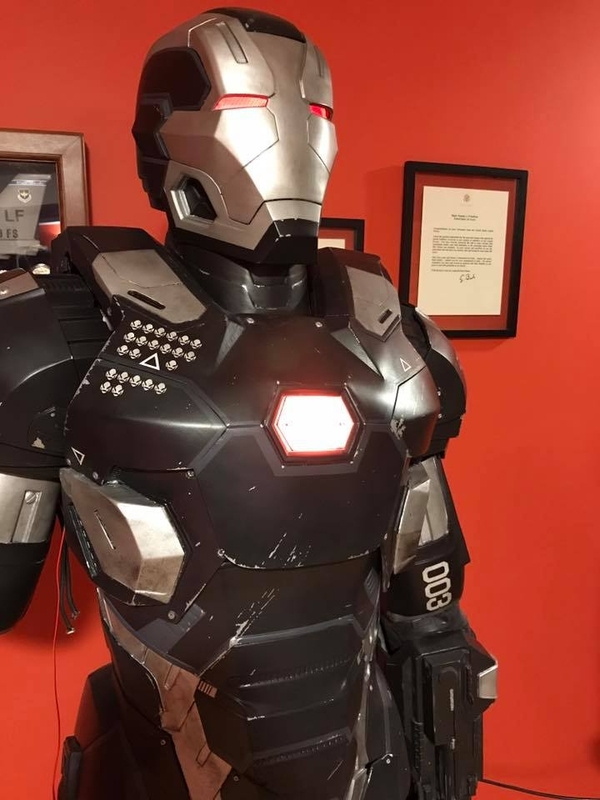 (War Machine Mark III). I tested out a servo using the Pololu servo controller and unfortunately had accidently burnt the servo out in about 2 minutes, started smoking (Savox SC-0251). The gun is printed solid in PETG so it weighs about around 1 1/2 lbs. Given the weight of the gun and the speed, do you think I need a robotic servo? Which servo you go for will not only depend on the weight of the load object you are moving, but the type of linkage and mounting solution you need, as that will change the force required to move the load. I always try and use a servo that is rated a bit higher than needed, so it lives longer and moves with less effort. Using a product chart, like this one on Servo City for Hitec servos you can see the speed and torque ratings and find a good analog or digital servo to meet your needs. You will also want to factor in the speed of the servo, and its range of motion. Torque is rated by how many ounces can be lifted at 1 inch from the center of the servo arm. The further out on the arm you go, the more force you lose. Your load is 1.5lbs, which is 24oz. Now you just need to determine what linkage you need to move the load the way you want, and determine how that impacts the force needed to move it.